Carmen Maria Machado's collection of short stories, "Her Body and Other Parties," is under production as a TV series. 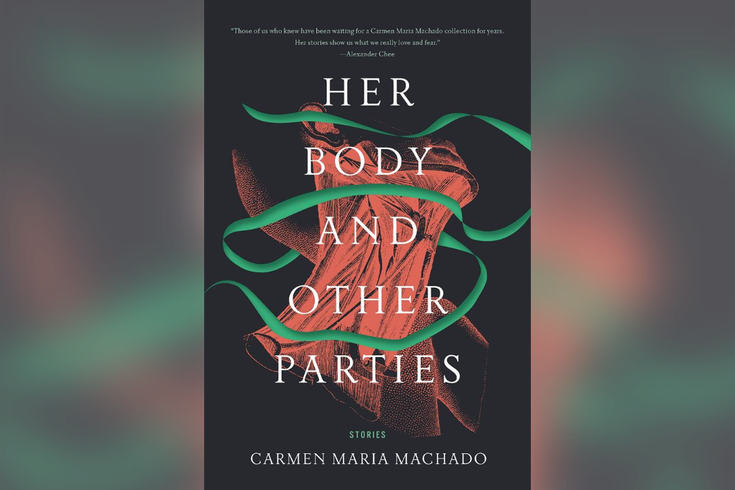 A new FX series with a Philadelphia connection is under development, based on Carmen Maria Machado's debut collection of short stories, "Her Body and Other Parties." Machado's anthology tells tales of subtle horror, magical realism and science fiction, met with psychological suspense, often depicting the female experience. The book was published about a year ago and was immediately a finalist for the National Book Award. Machado, who lives in West Philadelphia, is a visiting professor at the University of Pennsylvania. According to Deadline, the new project comes from writer Gina Welch and Brian Glazer's Imagine Television, as well as FX Productions. The project has been described as a feminist "Black Mirror" that will include a recurring cast of female characters. One story from the book that will be interesting to see interpreted for the screen is "Especially Heinous," the longest story of the collection at 60 pages, wherein Machado reimagines every episode of "Law & Order: Special Victims Unit," giving way to ghosts, doppelgangers, and girls with bells for eyes who constantly haunt Olivia Benson. Details on when to expect the new series have not been shared, but in the meantime Machado's book makes the perfect Halloween-time read.